As you’ve seen in countless headlines and news stories, Nepal was hit with two deadly earthquakes, one on April 25 and another on May 12, 2015. Nearly 9,000 people have lost their lives and the Nepali government estimates that the death toll could cross 10,000 once all rescue and recovery efforts are completed. 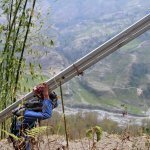 While the destruction in the capital city of Kathmandu received the most media attention, the remote villages in the mountains of Nepal have suffered the most. Here, local homes and public infrastructure has been wiped out, and there are still many communities that have yet to receive any aid or assistance whatsoever. 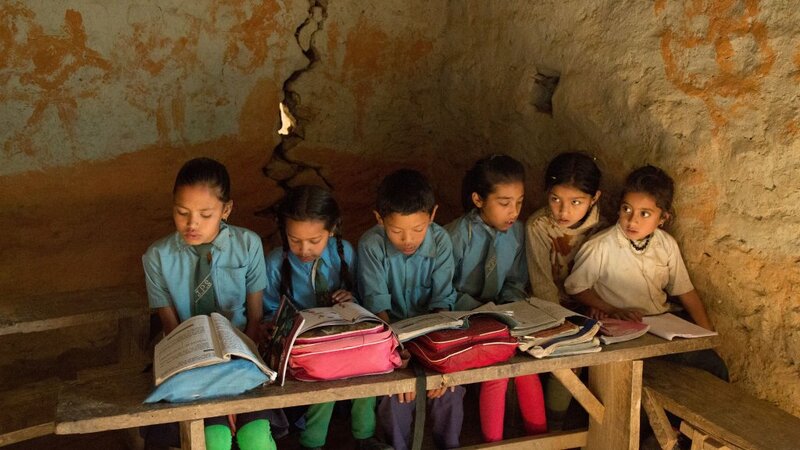 dZi Foundation has been working in the most remote communities of Nepal since 1998. Even before the devastating earthquakes, the areas in which we work took up to three long days on foot to reach from the closest road, district headquarters, and international aid service providers. Our mission has not changed, but the need for our services has increased tremendously. dZi works in partnership with remote communities in Nepal to create lasting improvements in their quality of life. For almost two decades we have been invited into local communities and partnered with them to meet their most pressing needs – including constructing local infrastructure such as schools, toilets, drinking water systems, and bridges. We have also provided training on essential soft skills such as agricultural training to increase incomes and food security, and forming parent teacher associations at local schools. Four years ago, we began engineering all of our public buildings to a high standard of earthquake-resistance, and retro-fitted existing infrastructure to make it stronger. These buildings survived both quakes, and are being used as temporary shelters for displaced families. 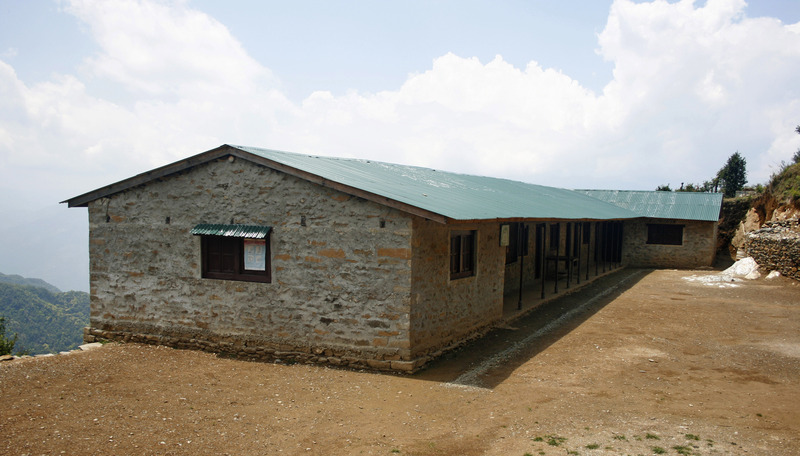 An Earthquake Resistant Building in Chitre Village that we constructed in 2013. This building undamaged by both the earthquakes. The most important part of our methodology is our long-term approach. We commit to working with each of our partner communities for up to a decade, and using this time to provide them with the skills and experience to continue the process of growth and achievement themselves. This has been the deadliest natural disaster in Nepal’s history, and the rebuilding efforts will take years. Amid the destruction, our community partners need us now more than ever. After the earthquake, life across Nepal ground to a halt. This included schooling for more than a million children across the country that no longer had safe schools to return to. While our engineered schools stood, community members identified thirty schools in our project areas that were no longer safe for students to study in. Local community members have already approached dZi for support with the reconstruction of at least 31 local schools, and we have committed to doing everything that we can. Constructing schools hand-in-hand with local communities will help begin the long process of recovery, and will keep thousands of children in school. We have improved upon our already-proven earthquake-resistant building techniques preparing for earthquakes in magnitudes much higher than the current ones. We continue to rely upon our proven methods of working closely with communities to ensure that they are fully invested in the long term maintenance and upkeep once the schools are completed. dZi’s long relationship with our community partners offers an opportunity to provide direct support to communities that have little chance of receiving aid from any other sources. Our unparalleled track record ensures that your funds will go further and our commitment to transparency guarantees that every penny is tracked and accounted for. 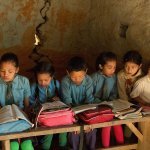 We need your help to rebuild the damaged schools in our project areas using new earthquake-resistant designs. Our construction estimate is $60,000 per school. For the weekend of MountainFilm in May alone, we had secured a matching donation for all gifts up to $75,000. Please visit dzi.org/donate to make a donation, or send a check to PO Box 632, Ridgway CO 81432.
dZi Foundation is a non-profit 501(c)3 organization. All donations are tax deductible. A receipt for your tax records will be mailed to you. Next TLC: Teach, Love, Care!